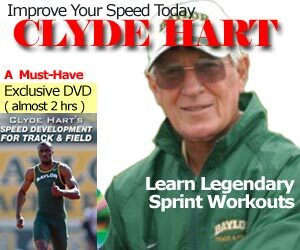 2415 articles since May 2007, and I’ve haven’t really talked about the mighty importance of your hands in sprinting. We all know the secret, and that is to keep your hands relaxed, in whatever position you prefer. The above is a good shot of 3 different hand positions. 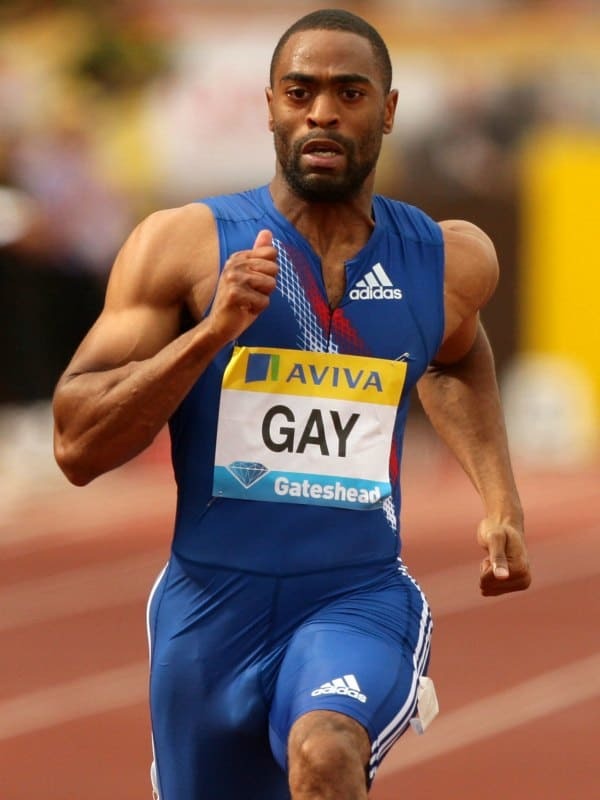 So this brings up the topic of arm action in sprinting. 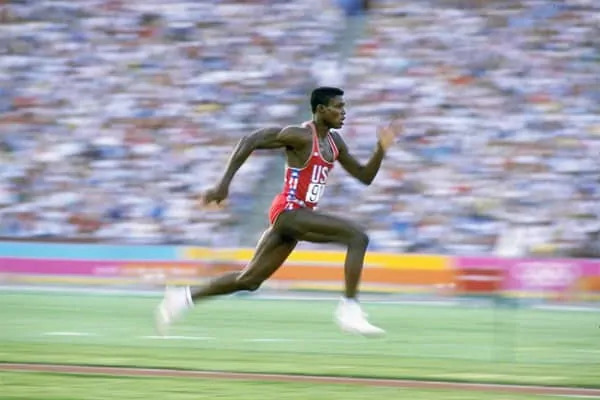 Famous Canadian Track Coach Geoff Gowan would say, “You run with your arms on your legs”. 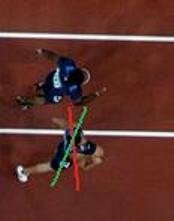 To study arm mechanics properly, you really need 2 video cameras from 2 different angles – one from the front and one from the side. It doesn’t take a lot of arm strength to maintain form for proper arm angles. Bench Press and body weight exercises will generally suffice. Your arm strokes from the shoulders, thus your hands play a vital role in maintaining the balance. The hand comes up to face level in front, and you pull down (not back) from there, usually from the elbows or even the hands. 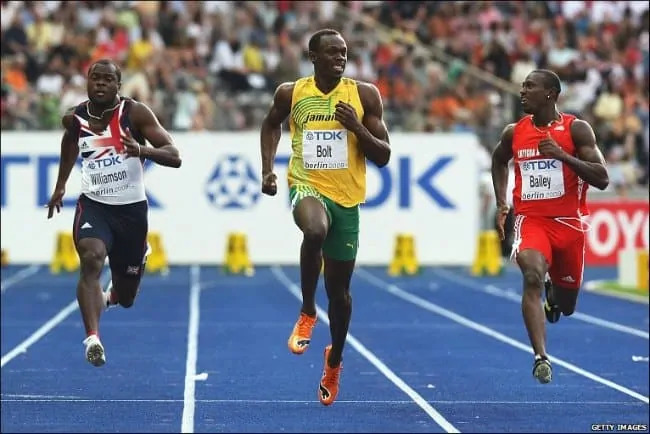 When we teach youth sprinters, we use simplistic numbers such as 90 degrees (or right angles) on the front-swing, and 90 degrees on the “down-swing”. I purposely don’t use the words “back-swing”. With good arm mechanics, the “PULL” action is down and not back. Why? Because with leg mechanics, you are pulling down, not back. That’s my logic. Elite athletes arm angles differ slightly with ~85 degrees in front-swing to ~95 to 100 degrees on the down-swing. The opening up of the elbow will come naturally as your top speed increases. You can’t help it. The arms will come towards, but not cross, the mid line thus initiating the shoulder rotation required to compensate for the slight counter-rotation of the hip. You need a view from above to see this properly. I am going to use Wallace Spearmon’s 200m Olympic final in Beijing, since they had nice overhead photos from the Bird Nest Stadium. 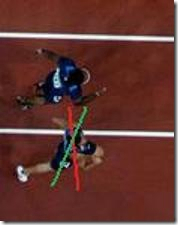 In the example below, the red line marks the plane for the shoulders, and the green lines marks the hips. The difference between slight counter-rotation of the hip and no counter-rotation (i.e hips locked, square plane) is about 3-4 cm. It’s not much, but coupled that with about 30 strides in a full upright position (on a 100m sprint), and we are talking a gain of almost 1 full meter. In my opinion, one example of hip over-rotation would be Cathy Freeman of Australia. If you take a look at her side view, you’ll see a very open and extended arm, and hence slight over-rotation of the shoulder which leads to a slight over-rotation of the hip. But it works for her, so why change it. I am merely using her as an example as I feel her counter-rotation of the hip seems visually excessive. Also, her body anatomy may find this optimal. One of the reasons you want optimal arm swings is to maintain proper hip rotation. Arms too close to the torso in the front-swing may limit hip rotation. If it is too open, then that may change the center of balance, and in effect, change your frequency pattern. READ How Many Laps to a Mile? Three? How about 19?